It’s been a year and half since we flew out of Portugal (to our relief & hopefully for the last time) on a very inhospitable TAP Portugal flight. Sorry Portugal! But gotta call a ♠ a ♠. I remember a few moments and montages more lucidly than others. I remember being hot and dehydrated during day time, looking for shade and ice cold water. I recollect passing by a very famous custard tart shop with a major tourist crowd bee-lining outside this edible attraction and being in no mood for such a patisserie fresh out of oven, when I felt the same myself – fresh out of oven! Except may be I wouldn’t have been so sweet. 1. Having a sharp pungent taste; sour. Well, the last line’s got my thoughts summed up. With nightfall my thoughts would wander back to our luggage trying to locate a warmer jacket (and a scarf to go) for the kind of chill that my ‘summer’ denim jacket just wouldn’t keep away. And then in between it rained. I don’t recall any pleasant bits of weather that we hoped the westernmost edge of Europe will have. Being a vegetarian did not help as it happens in Europe and the port wine didn’t sail our boat either. 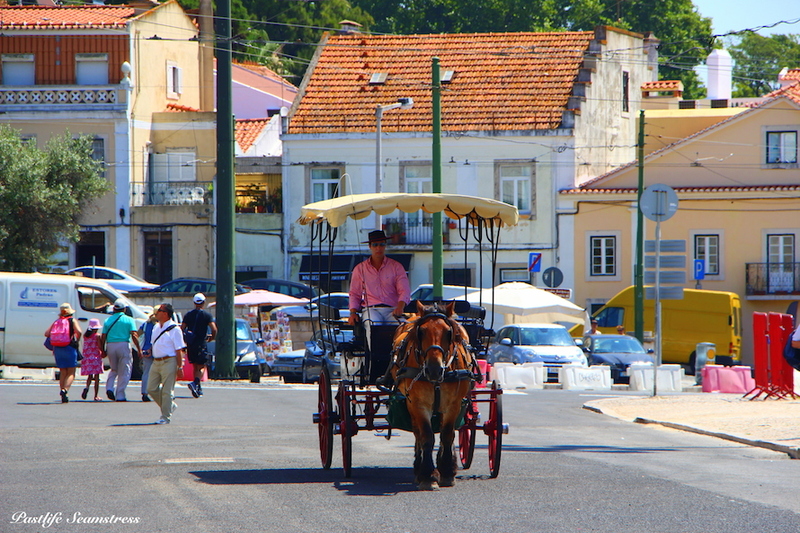 Propelled by enthusiasm gathered from all the pictures that immediately set you off day-dreaming, the all inviting written word and by word of mouth, we were there for a long weekend for vida portuguesa. We arrived to a city that had called it a day but come sunshine – it didn’t sort of wake up. The general vibe of the city was laid back (which is good) but it goes a little too far with laid-back-ness to the point of Zzzzzz. It was only at night that some neighbourhoods would suddenly have life pumped into them. There was just too much old-ness and too much quietude and passivity as if the whole city was weighed down by some deep thought that a vagabond was surely affected by but incognisant of. Now, you may find us with our best smiles on, in the pictures that follow. That was because we waited for the fat lady to sing. As it turned out she did not. But that is not to say that we did not find a moment here and there that made us smile – the undulating grounds of Discovery Monument, A Vida Portuguesa store, the Azulejos that almost talked to you, a beautiful beautiful sunset at Miradouro da Nossa Senhora da Monte, strolling through Bairro Alto neighbourhood – all went well. And yes, it’s definitely one of the cheapest places in Europe to shop. So that’s a reason to travel to Portugal for sure. ''Sounds a bit err...harsh'', said Adi after I finished narrating him these lines. 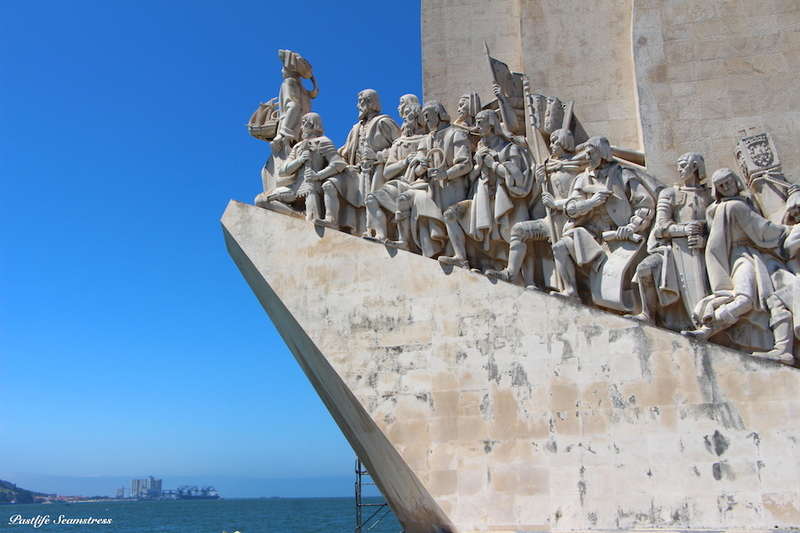 ''The truth often comes with an 'ouch''' said I.
Discoveries Monument, Lisbon. Standing shoulder to shoulder on this ship shaped monument are some of the first and original explorers of the world, as we know it. While my dissuasive opinion of Portugal remains status quo until I know better, there are some hard facts that are equally persuasive. 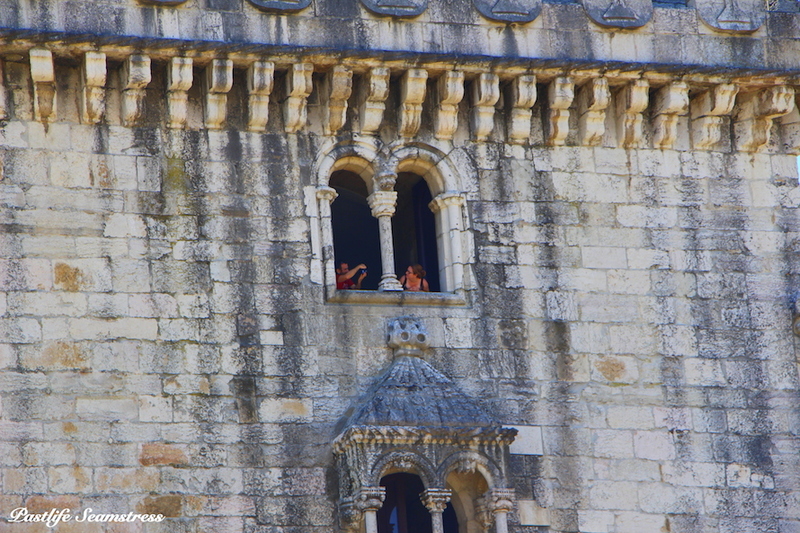 Portugal takes away the crown for being the longest lived empire in European history surpassing all other rival colonisers – the British, French, Spanish and the Dutch. 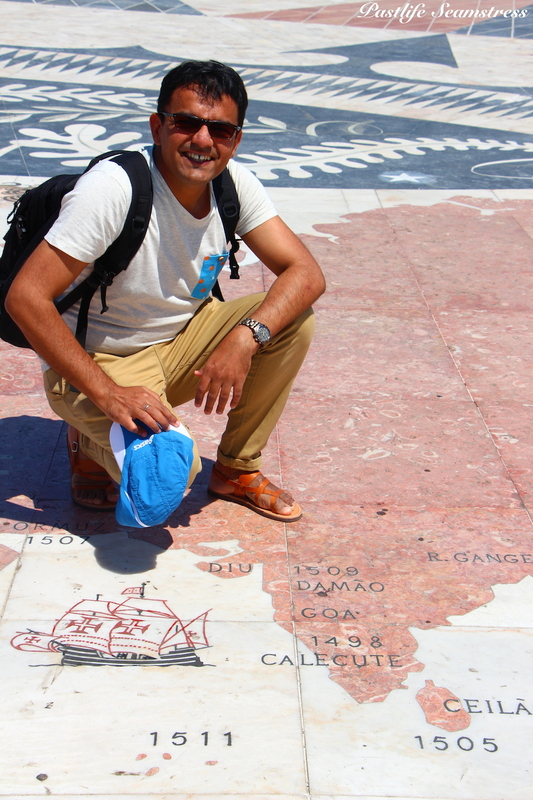 The trail blazing Portuguese also deserve due credit for European exploration of the world and ‘Age of Discovery’. Braving the waters and setting sails to the islands of Madeira, Azores, Cape Verde, Brazil, establishing an eastern route to India, even Canada long before the English or French set their foot there, chartering trade routes to coasts of Africa trading everything from gold to slaves, reaching as far as Malaysia and Macau where Portuguese still remains one of the official languages. 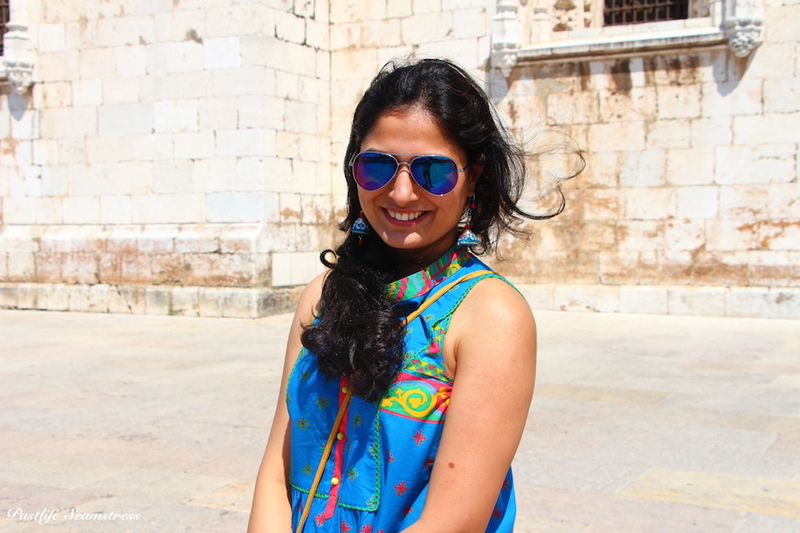 They’ve left a huge cultural and architectural influence across the globe as they sailed and we, Indians are more than familiar with it by our obligatory trips to Goa. Had there been social media monsters back in the day, Portuguese would have made the whole world green with envy updating their check ins and statuses. 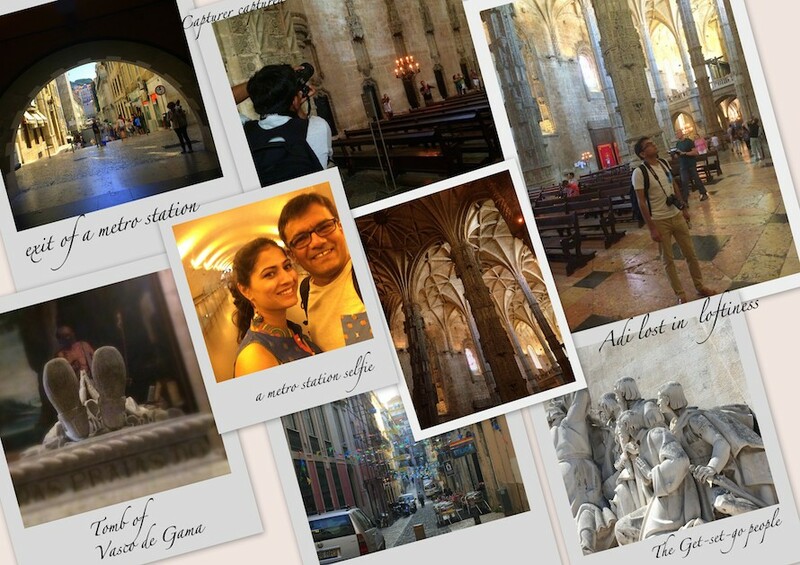 ‘Vasco da Gama checked in to Goa, India, (feeling accomplished 😀 )’! Take that, you!! 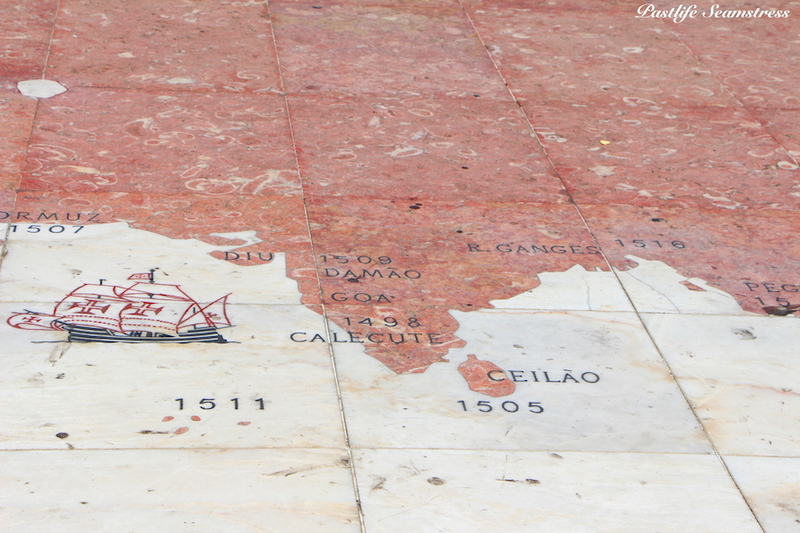 Vasco da Gama DID REALLY check into Goa, India. 30 people like this. 300 are jealous. It was when Vasco da Gama reached India that Portugal bloomed with economic prosperity and helped ignite the Portuguese Renaissance. 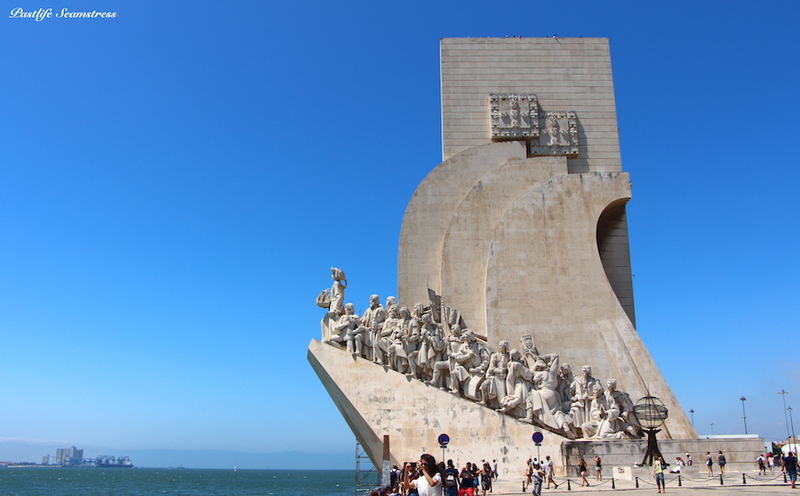 It was only after a massively disastrous earthquake struck Lisbon in 1755 that it’s wealth and status was lost never to rise to it’s former glory. And so I call it ‘exploring the land of explorers’. 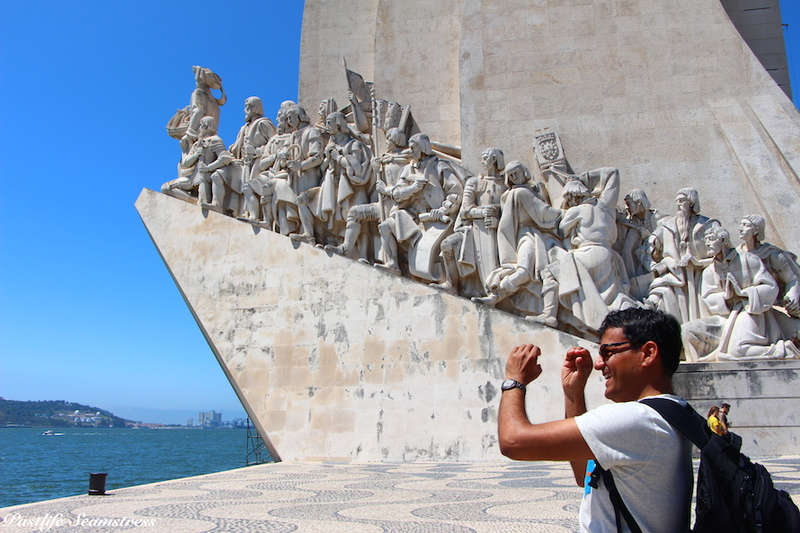 That also makes ‘Discoveries Monument’ ‘the’ place to begin your exploration of Lisboa, as we did too. But as you finish reading this post I’ll leave you with my two pence and a dilemma, so that you plan it wiser. That’s the monument in its entirety. You can climb up to the top of the monument for the views minus the monument. That won’t be so clever, eh? Undulating grounds of Discoveries Monument. I first saw this throughout the length of Copacabana in Rio de Janeiro and therefore I always call it Copacabana design. European sister of Golden Gate bridge, only longer and less popular. Though I just did recommend Discoveries Monument as the place to begin, we started a wee bit ahead of it. At the Comercio Square, one of the main squares of the city where you can hop on to a almost always packed Tram no. 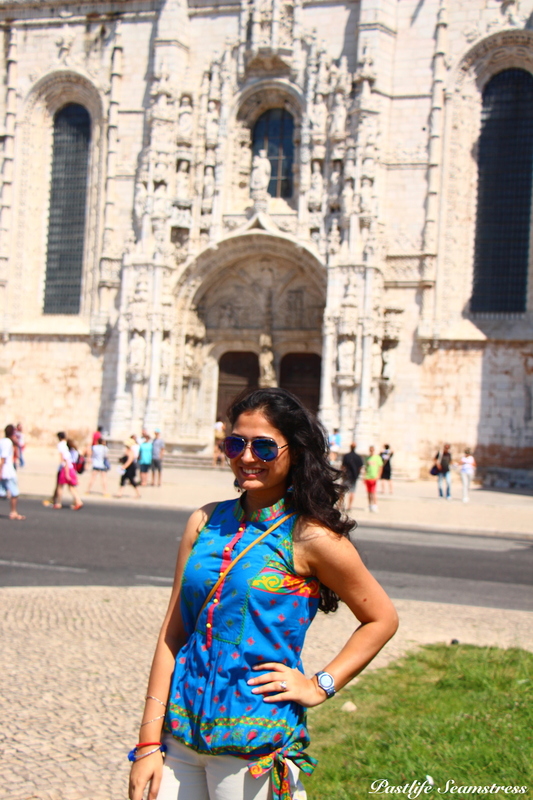 15 and reach Jeronimos Monastery. Comercio Square where you can hop on to Tram no 15. 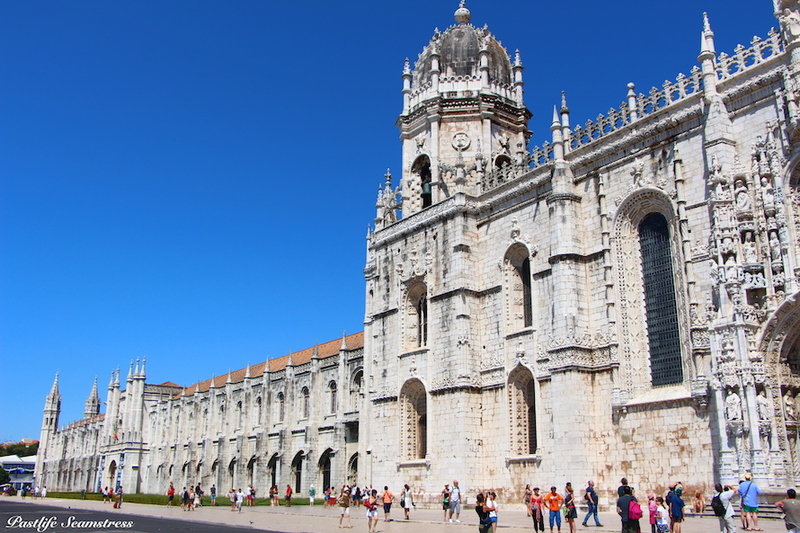 Jeronimos Monastery is a grand white washed UNESCO world heritage structure – a symbol of Age of Discovery and final resting place of Vasco da Gama. A closer look at the outer facade of the entrance reveals coils of ropes, coral, sea monsters etc depicting a theme speaking of voyages and exploration by the seas. On a bright sunny day as this was, the building looks even more imposing, standing in blinding contrast to a blue sky. Although it does look bright and sunny it was too warm to be outside for long in the hot summer month of July. We took refuge in the warmly lit but cool stone walls of the church for a while. 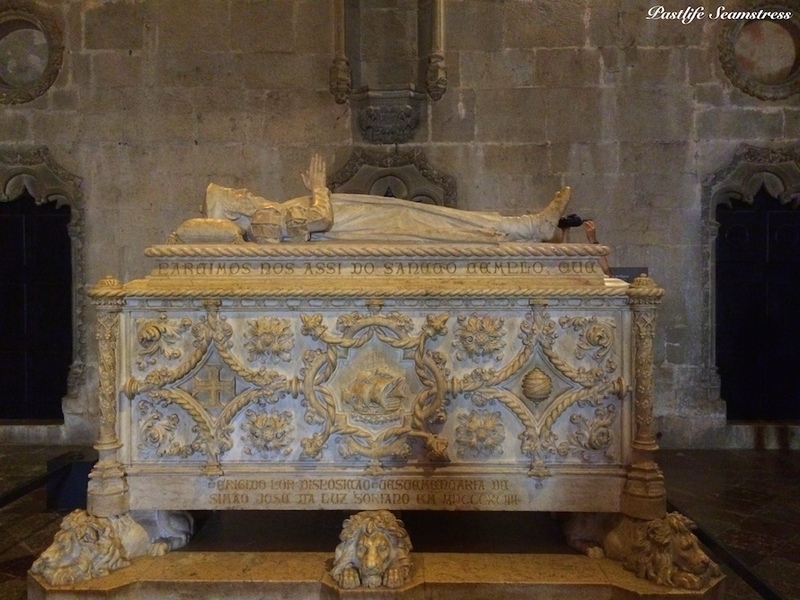 Tomb of Vasco da Gama. 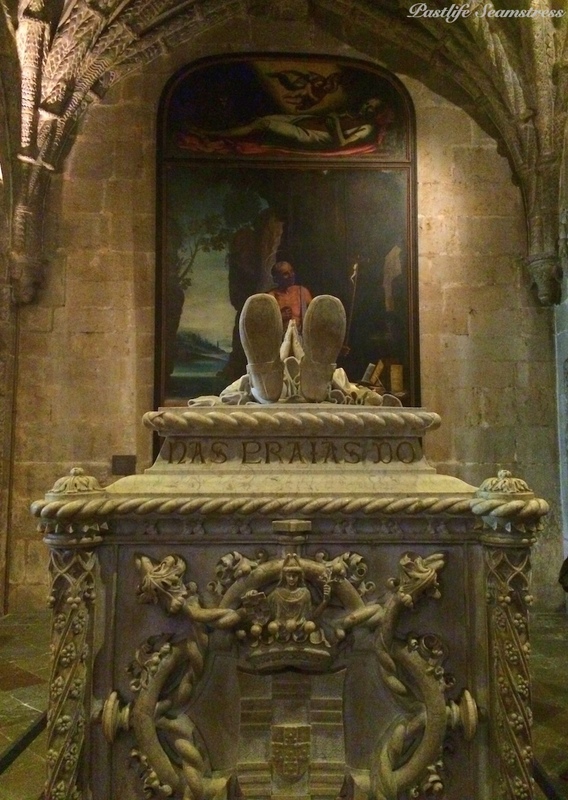 The strongly evocative resting place of Vasco was also the place where he, along with his men, spent the night preceding his exploration of the Orient. Another escape option if you don’t fancy mid day sun. Jeronimos Monastery and Discoveries Monument are more of less opposite to each other separated by a park. 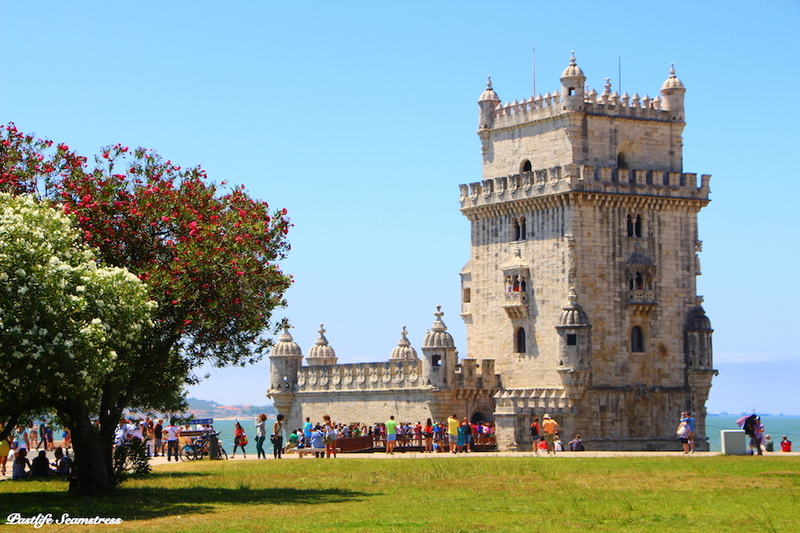 Another ‘to be ticked off’ place is Belem Tower which is supposed to be at a short walking distance from these two (but MOST definitely did not feel like a short walk to me). 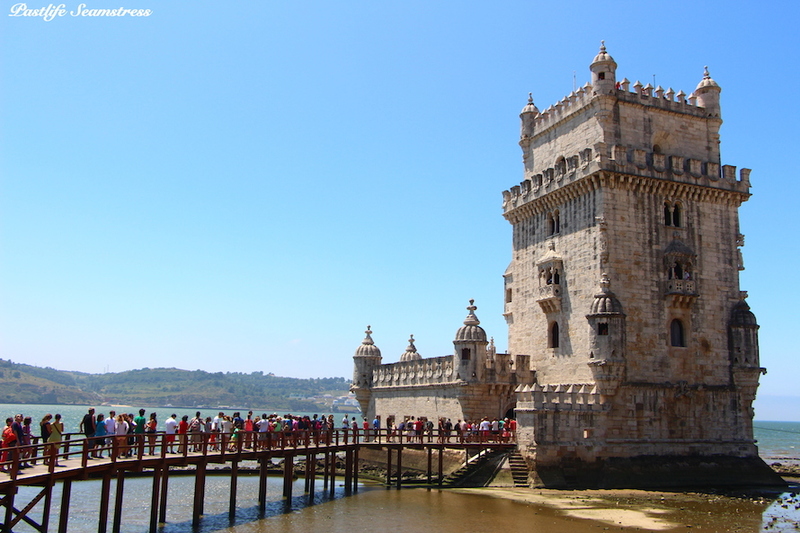 Belem Tower is also a symbol of Age of Discoveries and a UNESCO world heritage site and also a symbol of Lisbon. However pretty it sat in the path of Tagus, standing baking in the longest and slowest queue was not my idea of a fun holiday. But those who Persevere reap the rewards! 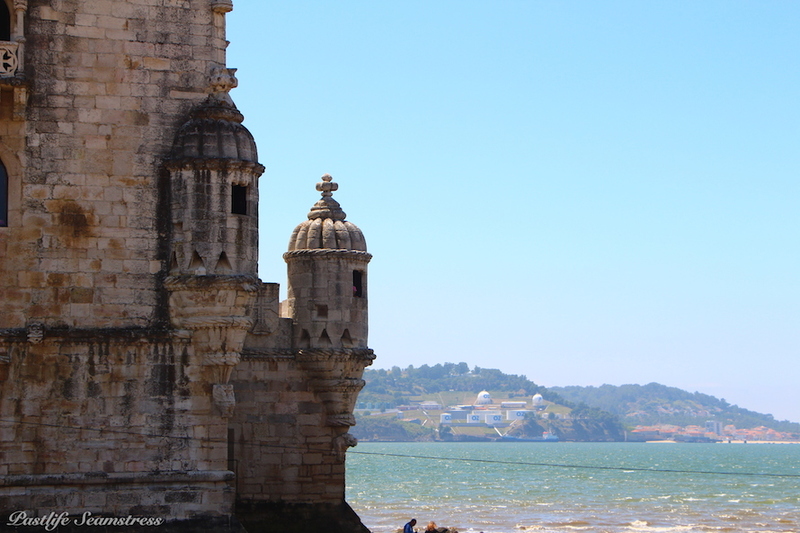 Considering it was the last solid structure that sailors saw before embarking on maritime adventures and a starting point of voyage of discoveries, it holds a great symbolic importance for whole of Portugal. 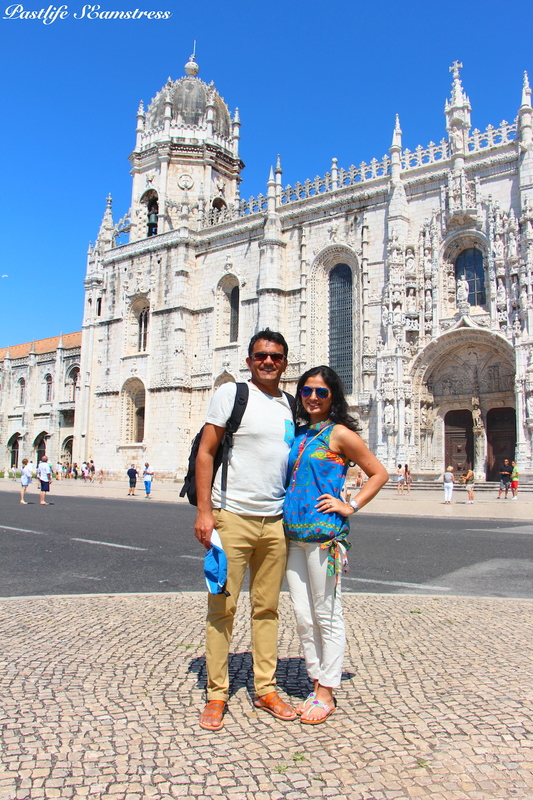 This is also the place to have a gustatory experience and relish the famous Portuguese Custard Tart aka Pastel de Nata aka Pasteis de Belém. A smallish shop sells around 50,000 custard tarts to eager locals and tourists alike everyday so if you have a sweet tooth or just an adventurous palate and a dash of patience then be ready to queue up. 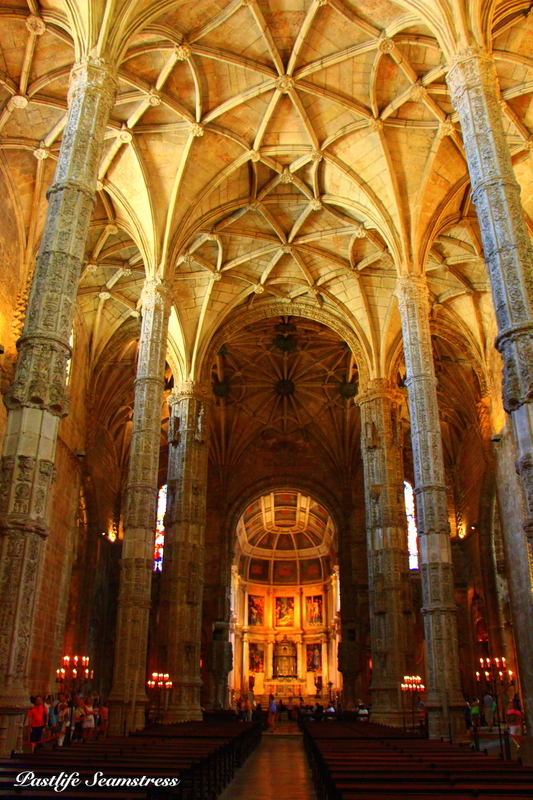 While we couldn’t fit this visit on an evening given the limited duration of our stay in Lisbon, I would strongly suggest you visit it during early evening hours as you’ll have quite a bit to wrap up at this location. 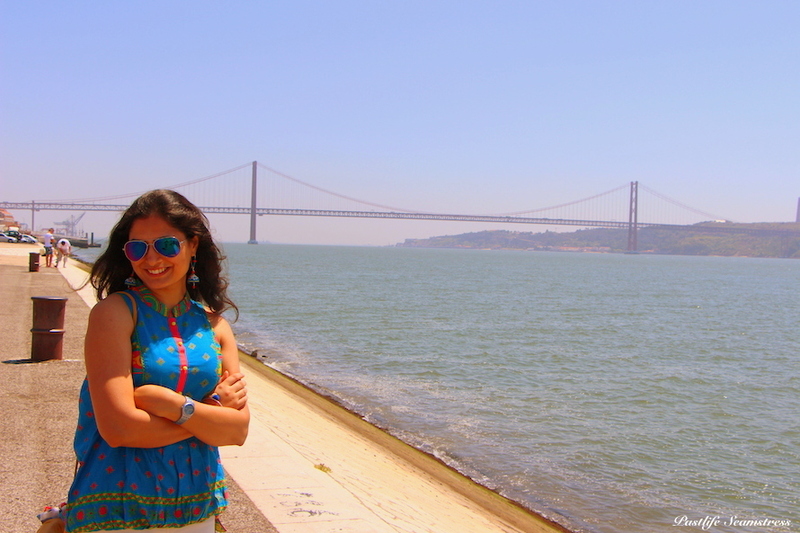 Also stay up till dark and see the 25th de Abril bridge glitter across Tagus river. Any other time of the day in summer months of July-August and possibly September, it can be too hot. 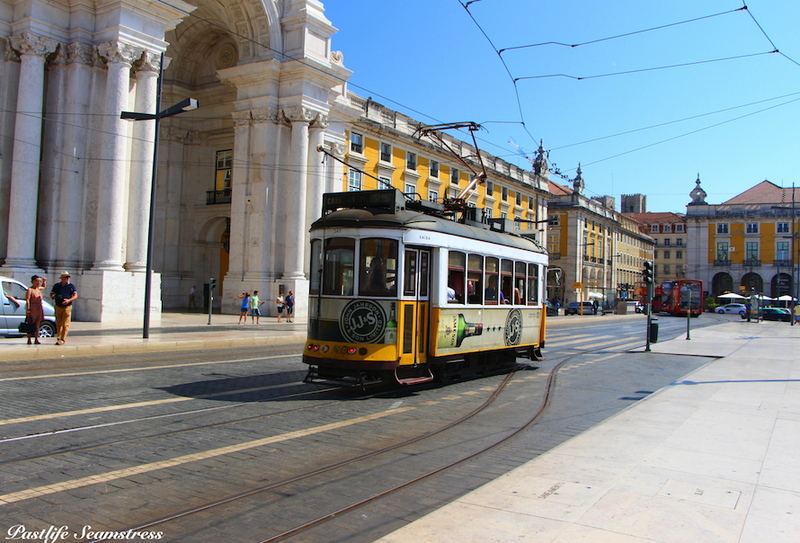 While these are my two pence on it and the dilemma would arise when I’d tell you more things to do in Lisbon also ideally suited for an evening. when I write about it''. ''And what would that be?'' asked Adi. a Gnat, bade aye duniya dekhne wale'. Phew! 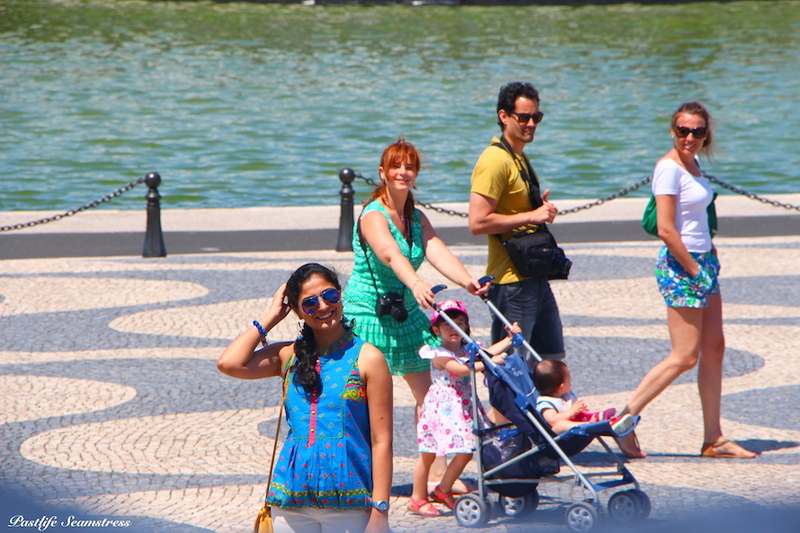 So, Readers, this brings me to conclude Part 1 on Lisboa. More, soon. 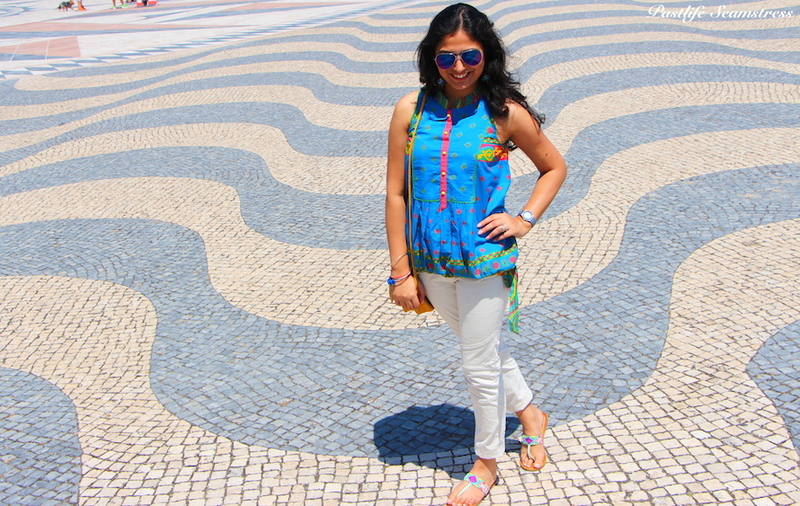 Be back for tips, links and knick-knacks on Lisboa. P.S : You do know you too have the patience of a Gnat, if you’ve just scrolled through the pictures without reading the text, right? Truth comes with an ‘ouch’, you see. an honest appraisal of the land of foremost explorers. the color of sky, Adi and your color sense in your dresses and photography — excellent. nice post. looking great ,stay blessed. Thanks a lot! Merci beaucoup! Very interesting and informative article. Very apt title. It’s nice to see you in writing mode. Keep it up. Waiting for the next post.